Until now, face recognition systems have treated a face as a homogeneous entity. Face Forensics Partial Face Recognition technology is unique in that it takes just part of a face and matches it against the same parts in a database of complete faces. This is of real value in forensic and investigative environments where only part of a face may be available, for example surveillance images, body parts after an explosion, burn victims, a photograph where only part of a face is visible, etc. Partial face recognition is a module within the Face Forensics face recognition application. All the functionality of full face recognition is available to recognize and match the partial face. Selecting “Partial face” on a pull-down on the Face Screen displays a facial template. A frontal shot is taken of the facial part. This image is either pasted or drag-and-dropped onto the facial template. 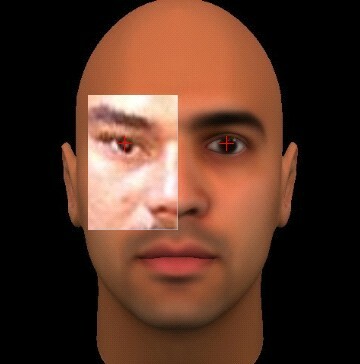 The template itself is a computer-generated generic face. The match list above shows the results of a search against the partial face on the template. The eyes on the template have been moved slightly apart to match the face being searched. The template is shown first, while the next two images are of the same person as the partial face. Face Forensics Partial Face Recognition works with all major databases, including Oracle, SQL-Server and DB2. Databases are accessed in read-only mode - the system keeps its own database of encode strings so data integrity is not compromised. Face Forensics Face and Partial Face Recognition are available in 64-bit versions, so extremely large databases can be accessed. 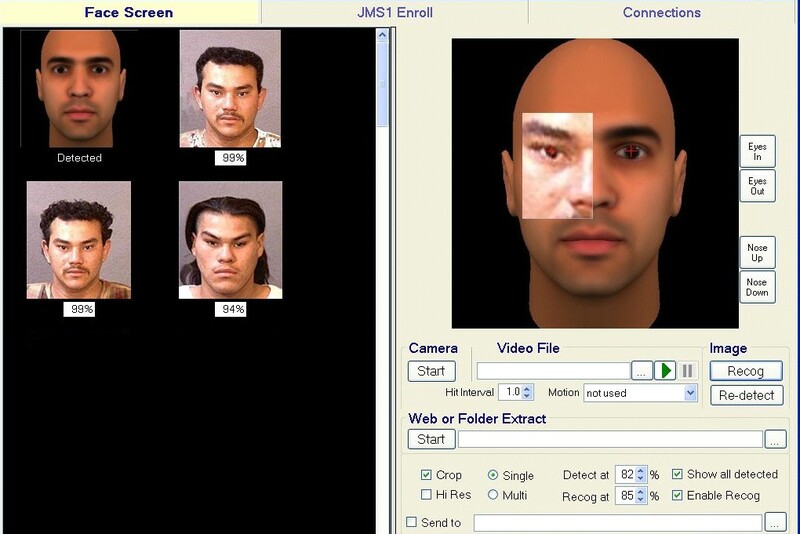 Face Forensics can search static images, real-time video, video files, and websites. Search speeds are extremely fast – because the encodings are held in memory, in excess of 1m records per second can be searched. System Requirements FaceForensics is available as an application or .NET SDK. It runs under 64-bit Windows 10. It will access Oracle, SQL Server and DB2 databases. An evaluation version is available.